79-3.5; Elongated Head A, 1920 by Alexej Jawlensky. Collection of the Long Beach Museum of Art, Long Beach, California, gift of The Milton Wichner Collection Bequest, 1979. Photograph © 2018 Long Beach Museum of Art. Each of the six poems was written in response to a painting by the Russian expressionist, Alexej von Jawlensky; thus the titles. The Long Beach Museum of Art has a large collection of Jawlensky's work, and I wrote the poems when I was poet-in-residence at the museum. Jawlensky was painting in Europe during World War I, and his work was affected by that brutal conflict. The tone, the feeling, the artistic movement of each piece became part of the poems, as I sat with the paintings for days and weeks, waiting for words. Certain of the poems resonate with the current state of political unrest in the world, others are small moments about simple acts of living. Karen Holden is a poet, artist and educator. Published widely, her work crosses disciplines. 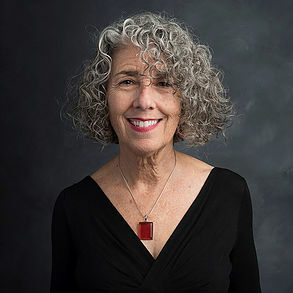 Her most recent book, This Music, is comprised of poems written to music, and she was commissioned by the Los Angeles County Museum of Art to write a series of poems about artworks in their collection. Her TEDx talk "The Poem That Is My Life" (given at TEDxCSULB) weaves a life adventure through poetry recitation and drawings. Small Print Magazine extends gratitude to the Long Beach Museum of Art for granting the right to present the work of Alexej Jawlensky here and to Candice Reichardt of LBMA for her work securing and reproducing these pieces. Photo courtesy of the Long Beach Museum of Art. Credit: Collection of the Long Beach Museum of Art, Long Beach, California, gift of The Milton Wichner Collection Bequest, 1979.